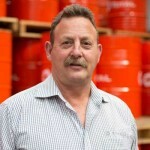 Phil has been a director of Oil Intel for 4 years and is responsible for strategic planning and the operations management of the company. He leads the financial, legal, logistics and administrative departments. Phil has over 25 years of experience in senior marketing, financial and management roles in primary industry in New Zealand including dairy, meat and wool sectors. To contact Phil via email please click here or phone 027 434 6961.